Ian Nicholls tells the story of former BLMC Director, Jim Slater, who has recently died. Although he was best known as a controversial businessman of the 1960s and 1970s and branded as an asset-stripper by the media, the late Jim Slater was also a Director of the Leyland Motor Corporation from 1963 to 1964 and, later still, a Director of the British Leyland Motor Corporation from 1973 to 1975. He was also called on to advise Leyland during its merger negotiations with British Motor Holdings in 1967. The son of a Sales Manager, James Derrick Slater was born at Heswall, Cheshire, on 13 March 1929, and was brought up in the suburbs of north London. He was educated at Preston Manor secondary school, where his chief passions were chess and stamp collecting. At 16 he became an Articled Clerk with a small firm of accountants, Croydon & King. After leaving the army Slater qualified as a Chartered Accountant in 1953. He left Croydon & King to become Chief Accountant to a group of private companies in the metal industry, owned by an entrepreneur called Svend Dohm. He learned how to turn around loss-making companies, and from Dohm himself he learnt ‘contrary thinking’, notably in picking investments. Dohm’s maxim ‘always try to turn a disadvantage to an advantage’, was one which Slater always carried with him. Leaving Dohm in 1955, Slater briefly launched an industrial venture of his own, but it was not a success. He also ventured into the stock market for the first time, buying a gold share which failed to rise. In debt and in need of a steady job, he applied to become Secretary of Park Royal Vehicles, which made bus and coach bodies. Here, Slater honed his eye for inefficiency and excess cost and, in 1959, he was promoted on to the sales side of the parent company, Associated Commercial Vehicles (ACV), travelling 50,000 miles a year in pursuit of export contracts. It was at this stage that he developed what he later called the “Zulu Principle” of investment. If you read every book in the library about Zulus, he observed, you will soon know more about them than anyone else around you: focusing on a relatively narrow field can give you an investment advantage. Slater’s chosen field was smaller companies which showed unusual earnings growth and, after a fortnight’s intensive study of back numbers of Investors’ Chronicle, he homed in on one – a motor industry supplier, Bernard Wardle – in which he invested £10,000 (£2000 of his own and £8000 borrowed). The shares duly soared. In 1962 ACV was merged into Leyland Motors and, in February 1963, Slater, by then Commercial Director of AEC, became Deputy Sales Director of the group under Donald (later Lord) Stokes, with a seat on the Leyland Motor Corporation board. 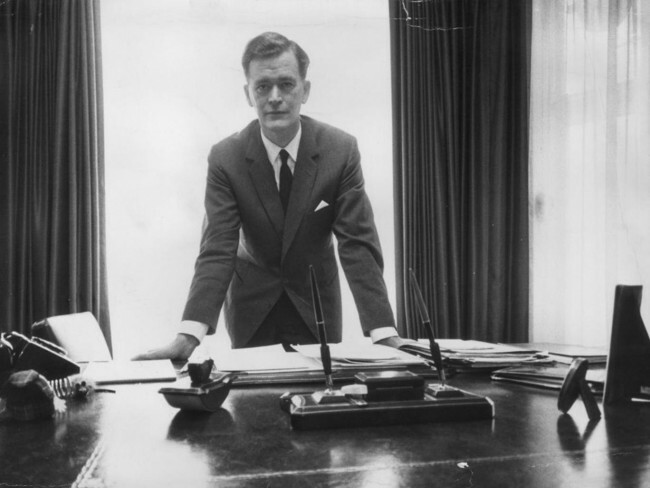 But he continued to develop his investment skills – turning his initial £2000 stake into £50,000 – and, in March 1963, he persuaded the City Editor of The Sunday Telegraph, Nigel Lawson, to give him a share column under the pseudonym ‘Capitalist’. Over the two years of the column’s life its ‘ghost portfolio’ appreciated by 69%, against a market average of only 4%. It was at about this time that a Brighton fortune-teller told Slater he would leave his present job, become famous, make a great deal of money and marry his secretary. Another fortune-teller the same day told him to avoid games of chance because he was unlucky; Slater challenged the soothsayer to double or quits on his 10 shilling fee – and won. Though he had good prospects at Leyland, Slater worried that his health would not stand a senior executive role. He left the board in the spring of 1964 to join forces with Peter Walker, a Conservative MP. He was replaced by Lewis Whyte and Dr. Albert Fogg. Peter Walker MP had made his name in insurance and unit trust ventures, and was also at that time the Shadow Minister of Transport; the two met as a result of a newspaper article in which both had featured as up-and-coming under-forties. The vehicle for their partnership was a property company called H. Lotery & Co., which they took over in July 1964 and renamed Slater Walker – though Walker was to sever his connections with the business when he became a Government Minister in 1970. Some observers saw Slater as a compulsive dealer whose success had more to do with manipulation of share prices than with management genius. But to others he was a hero and role model: as the City historian David Kynaston put it, ‘a self-made man uniquely in tune with the Zeitgeist of big-is-best, industrial efficiency and general go-go’. In the bullish market of 1967-68, Slater Walker expanded at a ferocious rate, offering its own highly valued shares in exchange for the under-valued assets of its targets: as soon as the ink was dry on one bid, it launched another. He also said that BMH had not started graduate recruitment until 1963 and the fall-out rate had been high. 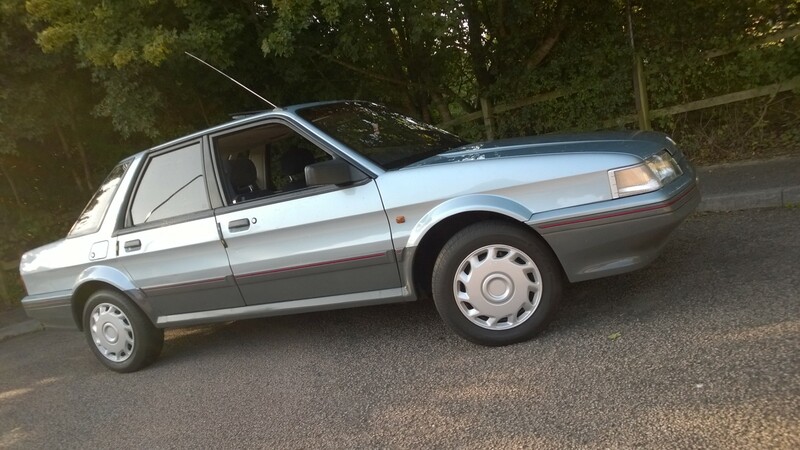 Excluding Jaguar Cars, it had seven model ranges when Ford had four and there had been no attempt to concentrate production of one model in one factory. In addition to this its commercial vehicle business was under assault from Ford and Vauxhall. Overseas, BMH had performed better and BMH did have, ‘an immensely strong liquid position.’ Jim Slater predicted that in the 1966-67 financial year BMH would turn in a financial loss of no more than £10 million. In the event the loss was £3m after tax and dividends were paid. By 1972, Slater Walker’s activities encompassed banking, insurance and property at home and abroad, as well as stakes in hundreds of industrial companies. It was estimated that Slater Walker’s assets were worth around £550 million. The Financial Times was moved to observe that, ‘there have been success stories in the City before… but never has there been anything quite so big, so successful and so singular as the growth of Slater Walker’. Despite his wealth, Slater himself lived modestly and had little interest in lavish spending and social pretensions. At his zenith he continued to live with his family in the same Esher house he had bought before forming Slater Walker. In November 1973, in the wake of the departure of George Turnbull, Jim Slater joined the board of the British Leyland Motor Corporation. Such was his confidence and charisma that Slater proposed a merger of Slater Walker with one of the great City merchant bankers – Hill Samuel. When that did not come off – there were rumoured differences between the boards – Slater Walker suddenly looked very vulnerable. The market was collapsing and there were no buyers for the companies in which he had shares. However, a portfolio of large loans to companies in which it also held share stakes made Slater Walker unusually vulnerable when those companies – particularly in the property sector – fell into difficulties. As the crisis deepened in 1975, a much-reduced Slater Walker was kept afloat by a £70m line of credit and another £40m of guarantees from the Bank of England’s ‘lifeboat’ operation. Slater himself stood down as Chairman, making way for Sir James Goldsmith. Not only was Slater Walker in deep trouble, so was British Leyland. In the aftermath of its financial collapse in December 1974 the Labour Government had instigated the Ryder Report to investigate the firms prospects. This was revealed in April 1975. In July 1975 BLMC shareholders met to discuss whether to accept the Government,s offer for their shares. Jim Slater as a BLMC director spoke to the meeting. He quoted figures printed in the Daily Mirror on 26 June 1975 showing that production from workers in key British industries was lower than many European competitors. ‘In cars we are less than half as productive as others, in railways less than a third, in steel two-fifths, in shipbuilding a third, in coal a quarter,’ he said. Jim Slater then went on to back the Government rescue bid for British Leyland. More trouble was to come for Slater. In the autumn of 1976 Slater faced criminal charges brought against him by the DTI for minor Companies Act offences (on which he was eventually fined £15 per count) and an arrest warrant for extradition to Singapore on fraud charges connected with a company called Haw Par Brothers, in which Slater Walker had an interest. It was alleged that an incentive scheme set up for the benefit of a group of Slater Walker executives, including Slater himself, represented a fraud against Haw Par’s other shareholders. The Chief Metropolitan Magistrate in London concluded in January 1977 that the charges did not stand up and that he could not be extradited for trial. By then, however – though he was to make a comeback as an investment guru – Slater’s name in the City was permanently tarnished. The final stage of Slater Walker’s demise, after Slater’s own departure, was the takeover of its banking arm in 1977 by the Bank of England to save it from insolvency; what remained of the group’s investment management operation was renamed Britannia Arrow. Slater himself was by then, as he famously put it, a ‘minus millionaire’, with assets of £2m but debts of £3m – but he declared that he would pay off all his creditors within three years and proceeded to do so. His fortune was rebuilt by quiet stock picking and property dealing – in part financed by his friend Tiny Rowland of Lonrho – and by writing children’s books. He had always enjoyed making puppet shows and telling stories for his own children, and his first story in print, Goldenrod, about a boy with magical powers, sold a respectable 35,000 copies. His next effort, the A. Mazing Monster series for younger children, became a huge hit. He also published, in 1977, his autobiography, Return To Go, in which he expressed the hope that, ‘youth, ambition, risk-taking and innovative thinking’ would not be discredited by the outcome of the Slater Walker saga. He re-emerged in business in the 1980s as the Chairman of a venture which bought up fishing beats and sold them as time-shares. In the 1990s he acquired a new following as a share tipster, through newspaper columns and a private-circulation newsletter, and brought his laser-eyed scrutiny to bear as a director of a number of smaller companies. He married, in 1965, Helen Goodwyn, who had been his secretary at Leyland Motors and whom he liked to describe as, ‘a long-term hold’. She survives him with their two sons and two daughters. Jim Slater died on 18 November 2015. With thanks to the Daily Telegraph, The Independent and The Scotsman. Our Cars : Mike’s Montego – by now, my patience ought to be exhausted! Given the obvious financial and management problems which Slater identified with BMC in 1967, and given he was a money-man, it’s hard to see why he favoured the merger/takeover. I assume it was because the Government wanted it. An excellent article Ian, thank you. For me, Slater sums up so much that was (and possibly still is )wrong with British capitalism – no vision beyond pounds, shillings and pence, and a ever-present propensity to use the assets of others to play at being God. One of the reasons 1970s Britain is remembered so bitterly. This guy might as well be used as a recruiting poster by the far left; what a vile excuse for a person. Good riddance!